Home•Why would my business benefit from ACD working? 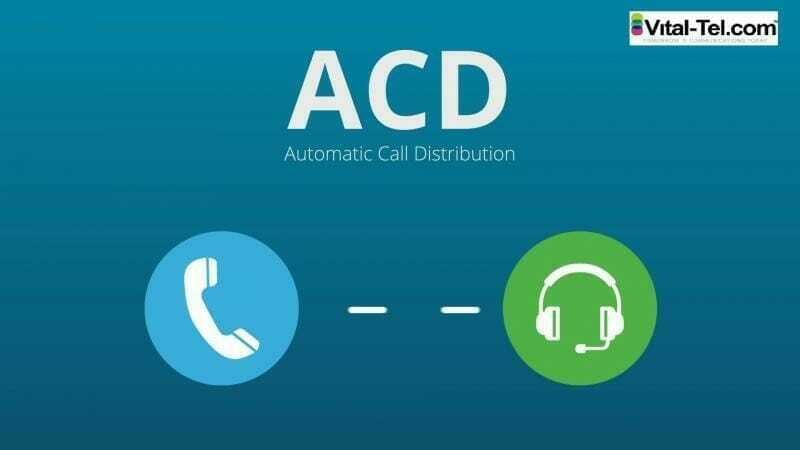 First lets start with what is Automatic Call Distribution, actually its the most under-used telecoms feature available to businesses, despite its multiple proven benefits. While ACD Working is absolutely the most crucial component of any contact centre, streamlining the complete communications process of inbound calling for absolutely any business. Why you ask is this relevant to my business, we don’t need ACD working and we are not a call-centre. Well in truth the capabilities and benefits of an ACD module stretch far beyond the call-centre, they will add great value to almost all businesses. Historically however, the expense of bolting on an ACD module to an ‘on-site’ phone system was just not viable. Todays cloud technology totally changes the imperative and the possibilities for all business customers. Mainly because ACD working is included at no extra charge, which creates another reason to migrate away from ‘on-site’ equipment and make immediate savings from the cloud. Why can ACD working be so important to your business? Well if efficiency and customer satisfaction are a priority, then its time to take advantage of the differential that cloud technology will cost effectively deliver. The secret is to scale down and utilise the most fitting features from ACD working, then implement in a complimentary fashion any features that add value to your business. Providing enhanced service levels for customers has the added benefit of creating a cost effective and efficient workforce. See below some of the ACD working capabilities that may benefit your business. Skills-based routing : Incoming calls can be routed to the specific person or department based on pre-determined criteria. Meaning the person with the appropriate skill-set will always address the customer’s needs properly. Remembering, with cloud iP PBX, your staff can work from absolutely anywhere, yet still be part of the ACD hunt group. An even call distribution ensures, each new call is sent to the longest idle person automatically. That’s no matter where staff are sited globally, providing phones are in the ‘ready state’ to answer calls. During high call volume phases, callers can opt for call back option rather than waiting in the queue. However, high-value callers or VIP customers will always be priority routed to the assigned staff member without delay. Integration with CRM and other communication platforms such as social media and Live Chat, is now common place and allows your staff to have a smarter conversation with the customer by understanding their needs more thoroughly. With shared CRM data, call conferencing and transferring between departments, caller information can be passed more efficiently and effectively. With the help of ACD working, your business personnel will be able to handle the appropriate calls for which they are trained. Having expertise and the required subject knowledge, increases confidence with customers and will always improve productivity. Responding fast to a call by transferring it to the most appropriate agent, will definitely improve the chances of first call resolution. Efficiency is when customer queries are resolved without a call transfer to other agents or departments. This in turn reduces the time taken to answer a call and assists to reduce your overall staff expenditure ! With efficient routing of incoming calls, your staff can use their expertise in solving the problems of a caller rather than indulging in activities that are outside their scope. ACD acquires usage data such as total number of calls, time spent on each call, waiting time, after call time, etc which is beneficial for management reporting. EnablIng management to assess & control KPIs will optimise resources more effectively. Routing a caller automatically to the most appropriate person avoids frustrating your customers from unnecessary hold time and transfers. 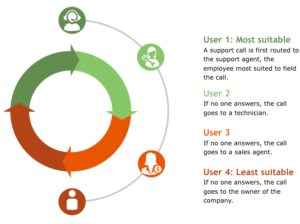 However, utilizing options to receive an agent call back also eliminates the pain of waiting in the queu e. Pre-built messages can be made to intercept callers with estimated wait times based on the length of the queue and staff availability. 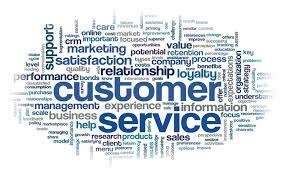 ACD working assists in delivering a highly responsive customer service by channeling each caller to the right queue creating better business outcomes–and happier customers. If your business has not considered moving to the cloud, it is time to investigate. Don’t get left behind, as the Cloud offers a myriad of fully included features and benefits to gain that edge or differential for your business. In addition, with the right provider, immediate cost savings will come hand in hand with cloud telephony. For more information on call delivery / call routing, please click the following link: Call Delivery. Offer your employees the tools to effectively and more productively carry out their jobs with an allin1number hosted PBX.